Before the end of June purchase any of our intensive Winter Rejuvenation packages and emerge in spring with a smoother, more refined and more radiant complexion. Winter Rejuvenation 1 benefits every age group and has been designed for those seeking to freshen the skin’s appearance and take the first serious steps into combating the signs of aging. The inclusion of IPL in this package makes it ideal for targeting sunspots and pigmentation, sun damage or broken capillaries. 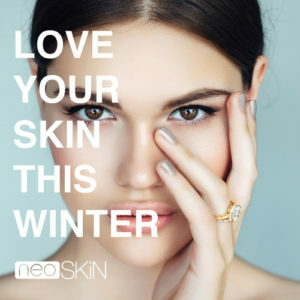 Winter Rejuvenation 2 benefits those beginning to see deeper lines, uneven skin tone and larger pores, dehydration and dryness. This package is for those whose skin is already adjusted to more advanced treatments, who are looking to take the next step in caring for their skin. Winter Rejuvenation 3 benefits those looking for more multi layered approach to their skin. Designed to target deep wrinkles and uneven skin, pigmentation and redness, hydration and dull skin. This package is ideally suited to those wanting to make some serious changes to their skin. The medical needling allows the clinician to target specific areas that are lined, wrinkled or even acne scarred. This package is the perfect upgrade to those who have been having regular treatments. The Winter Rejuvenation packages have been created to work like an intensive three month “bootcamp for your skin” with treatments performed across June, July, August and September… so you’ll be ready for spring, ready for summer, ready for anything. Be quick. Offer ends 30th June 2016.